From the underground drinking establishments that blossomed in 1920s America during Prohibition, to London's 1980s new romantic scene, to the glistening grandeur of London's premier hotspot Boombox Club Kids tells the story of the cutting edge exhibitionists and pioneers who have frequented the clubs of their time. Club Kids analyses the way in which club regulars condense all the aspects of their underground, eclectic, emerging culture, into the nocturnal hours. With interviews from the biggest names in clubland- including Kash Point founder Matthew Glamorre, Boombox creator Richard Mortimer and All You Can Eat's K-Tron. 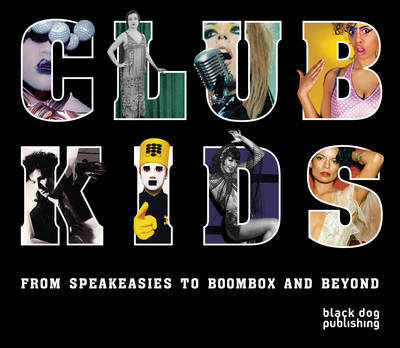 Club Kids provides a photographic journey through the eyes of the young people who shape our societies trends and celebrates the underground night culture - seeped in glitz and glamour - which has broken through to the mainstream.